How did you come up with the idea for Azzip? I get this question a lot. Whether I am in one of the stores or out at an event, people are always very interested in where the idea came from. Did it just pop in my head like a light bulb going off? Was it a slow build of one idea leading to another leading to another? So here’s the lowdown on how this crazy ride started. I was a student in Hospitality and Tourism Management at Purdue. I was a walk on for the football team. I was a student in the Entrepreneurship program. I was of a mindset at this point in my life that I wanted to start my own business (wanted it to be a restaurant) & I knew it had to be something creative and different. At the time, I would have pizza nights for my teammates on the football team. Everyone would throw in $5 for ingredients and I would make a bunch of pizzas up. It was gratifying to me getting to see people enjoying something that I created. So pizza it was. Now how was I going to make it different. 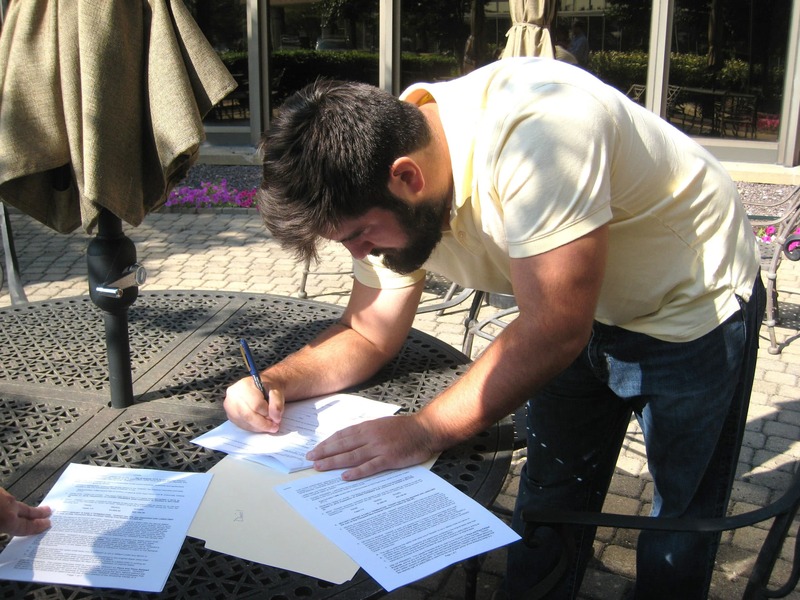 Pizza has been a mainstay in the restaurant industry for years so how could I set my company a part. Originally it was a food truck. Then a sit down restaurant. But what kind of places was I frequenting most often? That’s what I asked myself. And we went to Chipotle A LOT. I enjoyed being apart of the process and seeing it made right in front of me. I thought, why couldn’t we do this for pizza? And there it was. That was my idea. 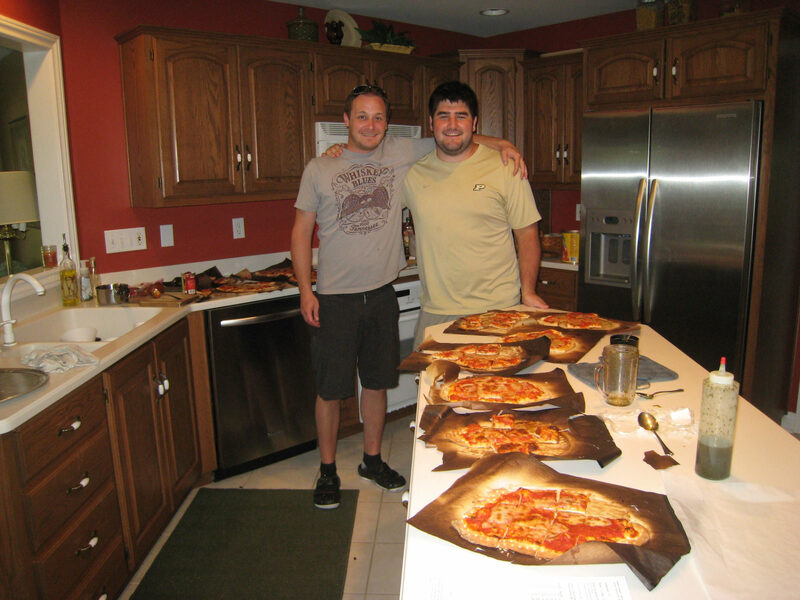 I then took the idea to my parents, a professor at Purdue named Mike Cassidy, and a chef friend, Blake Kollker. I sought feedback on the idea. Could this work? Positive feedback. Also a name. I wanted something different and unique. Not “Brad’s Pizza”. A made up word. Mom said what about pizza backwards, “Ay-Zap” is how she pronounced it the first time. “Ay-Zip” I said back. I loved it. Mom said what about pizza backwards, “Ay-Zap” is how she pronounced it the first time. “Ay-Zip” I said back. I loved it. The idea for Azzip came from a passion that I was following. Not because I thought this was going to be an easy job or a great paying career. I was legitimately passionate about pizza. I would spend hours on pizza blogs reading recipes and seeing what other people were doing. I would research different ingredients and specialty pizzas and where I could find them near me. I would take hours out of my day to prep for a pizza party that I only got partially covered by everyone throwing in some cash (football players are big eaters). Its hard to explain, but deep down I knew this could work. 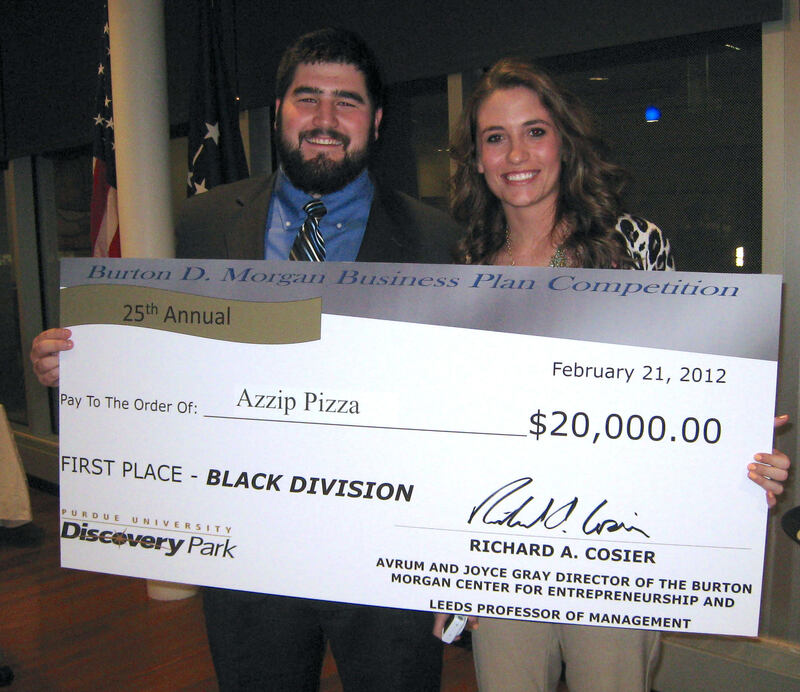 Mike Cassidy encourage me to enter this idea into the Burton D. Morgan Business Plan Competition at Purdue. I signed up. The first round was a executive summary (2 Page paper outlining overall concept). I got an email reminder to submit my summary the night before it was due. Oops. I quickly threw all the ideas in my head down on paper and got it turned in. Thankfully somebody was intrigued and I made it through to the next round. I ended up winning the competition and won $20,000 towards starting my business. The judges loved my passion and knew that I was willing to put in the work to make this idea a reality. My then girlfriend, now wife and baby mama, encouraged me when I was having doubts. “If your dreams don’t scare you, they’re not big enough” was a quote she found on the internet and shared with me. It struck a cord. I was in a place in my life where I could afford to take a chance on an idea. The rest of the history of Azzip is still happening. Still being written. But I am proud of what were accomplishing in our short time of being a business. We’re participating in the local communities in which we operate. We’re providing our 130+ employees with a fun job and a good wage. And my family and I are having fun working together. I am glad I followed my dreams and we gave this thing a go.